✓ Design to store a keyboard under the stand for desktop space saving. ✓ Man-made from 8mm thick of premium grade PMMA (Acrylic). ✓ The product made as in one piece with no joint with soft corners and finishing throughout. 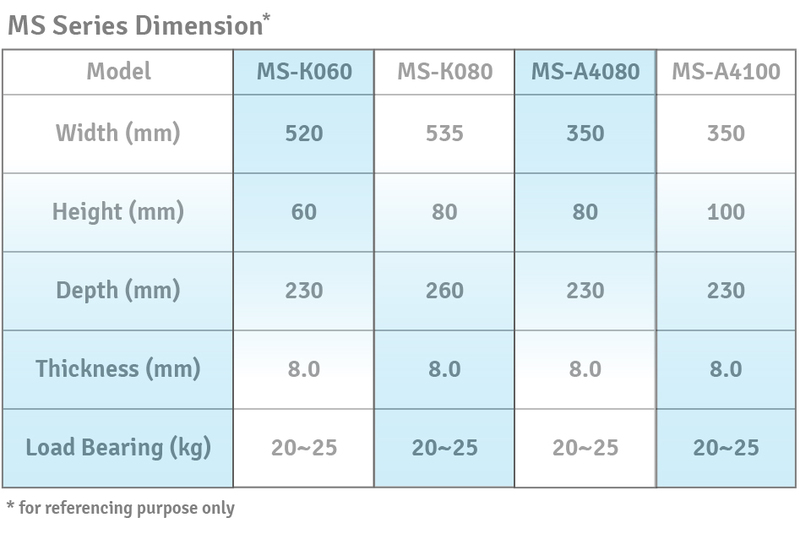 ✓ Heavy Loading bearing, able to sustain up to 20~25kg. 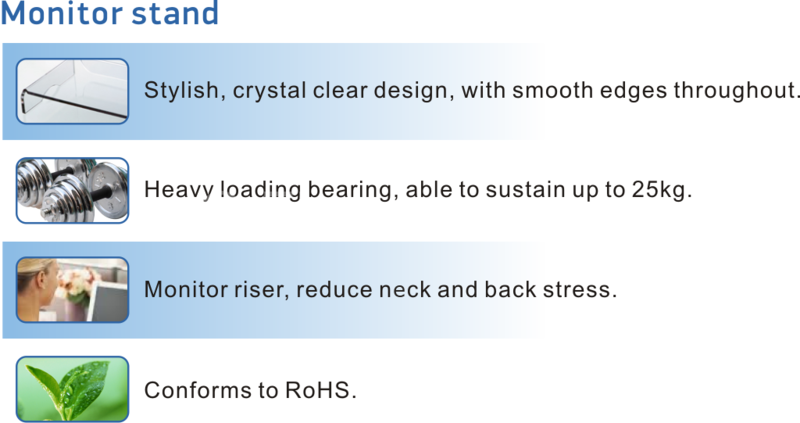 ✓ Conforms to RoHS compliant. ✓ Stylish, environmental concern and functional. ✓ Design to fit A4 size documents, can used as temporary file storage. 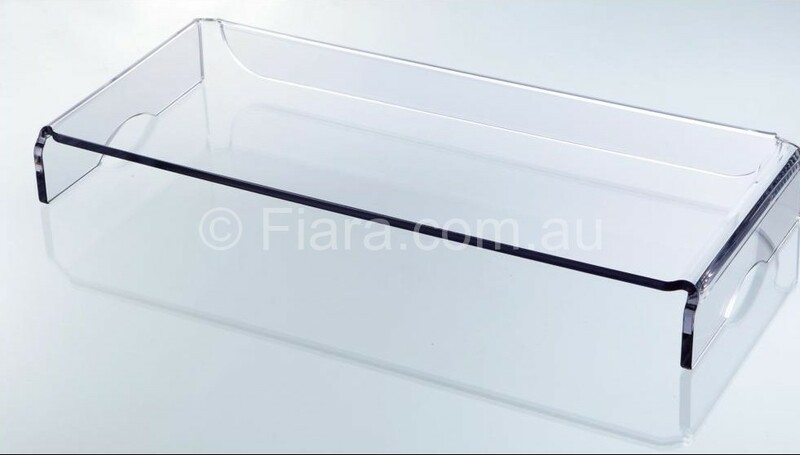 Order by email info@fiara.com.au or made via completing the Purchase Order Form ONLY. 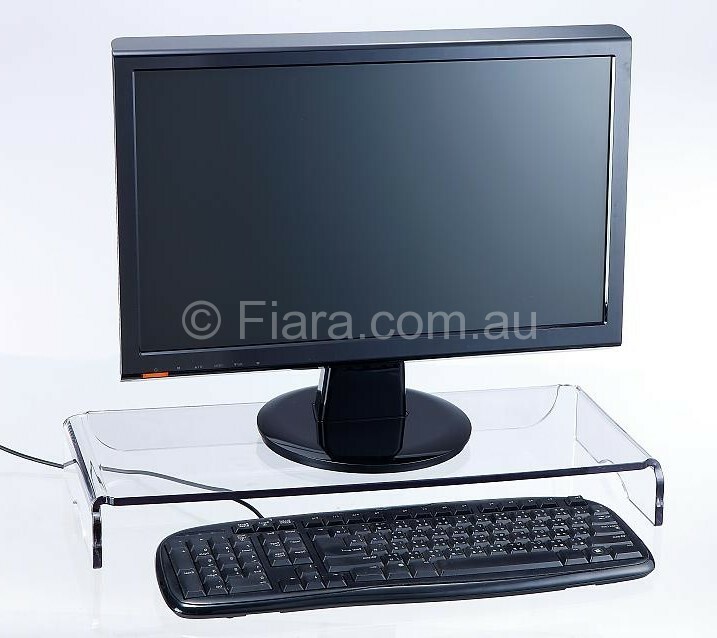 Note: Most other plastic monitor stands on the market are assembled by pieces of plastic with very short life.